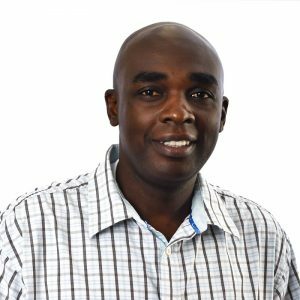 With years of event-management experience, Kayode D. Aleshinloye, a lecturer in the Rosen College of Hospitality Management, shares his perspective on the failed festival and what it takes to organize large-scale events. 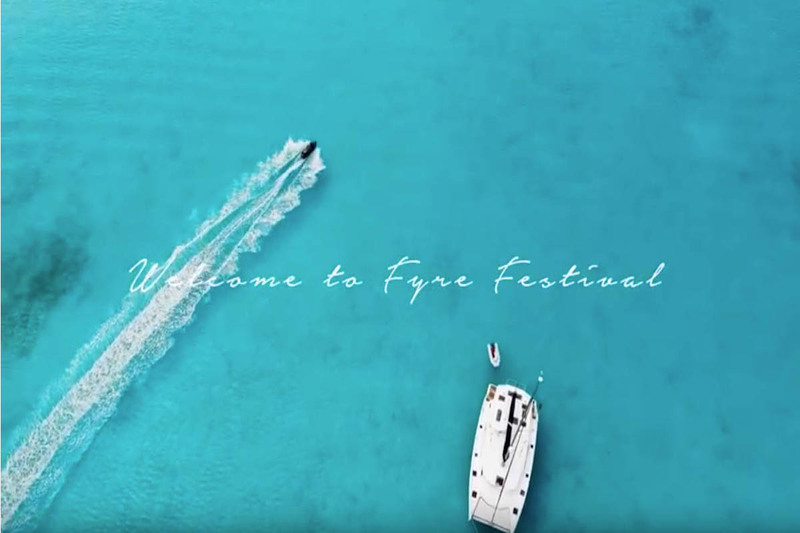 Anyone who’s watched the Fyre Festival promo video probably would tell you there’s no way this event could happen—well, at least now they would. The video was released in January 2017 to announce an immersive music festival experience that would take place in the Bahamian island of Great Exuma during two weekends. Event organizers promised thousands of people—who would pay $500 to $250,000 for ticket packages—major musical acts, round-trip travel, luxurious villas, gourmet food and many celebrities in attendance. But anyone with event-management experience could have told you once the dates of the event were revealed (April 28 – 30 and May 5 – 7) there was no way anyone could pull this off. Following the release of two documentaries by Netflix and Hulu, more interest has developed around how the festival’s planning failed and what could have been to make it a success. Is it possible to actually pull off a festival like this for 10,000 people? Yes, it’s possible. The problem about the Fyre Festival was due to poor management, ineffective operational efficiency and inability to deliver what was promised to the attendees. The event was well-marketed through the social media, which is an effective marketing tool in today’s world, and the response was great. Apparently, the organizers lacked the necessary experience in event operations and management. They could have hire event-management professionals or organizers who could have managed the operational and delivery part of the event successfully. Kayode D. Aleshinloye, Ph.D., a lecturer in UCF’s Rosen College of Hospitality Management. Moreover, the organizers failed to keep the promise made to the attendees despite paying a huge sum of money for that experience. I mean, how could you promise and tell someone that you are going to give them a VIP experience on the island of Great Exuma in the Bahamas by flying them from Miami on a custom VIP configured Boeing 737, lodge them in a luxurious, eco-friendly domes and villas, and provide them with gourmet foods made by celebrity chefs—and at the end of the day, make them wait at the Miami airport, put them in makeshift tents and give them cold cheese sandwiches to eat? That is insane. Remember, a VIP package cost around $12,000. The questions that came to my mind always are; Does the destination (Bahamas) have the resources to accommodate the Fyre Festival and all the luxury promised? Is the timing of the event right? Are the stakeholders carried along properly during the planning of the event? The stakeholders in this instance are the government of the Bahamas, the security operatives, the local suppliers and ultimately the locals. The destination stakeholders are crucial to the success of any events because their lack of support will spell doom for the organizers and the brand. In my class I always emphasized about the importance of the host community because they feel the impacts of the event—positives and negatives — more than anyone. How much time and money would be needed? Event of this magnitude need time to be properly executed, it is not something that can be done in a hurry. You need time to carry a detailed feasibility study or a situational analysis, make necessary consultations with the host community, have your operational plans in place with a realistic time-line, and assemble your teams—including paid staffs and volunteers—and training. Conservatively, I would say that 18 to 24 months might be the ideal time to organize this event – remember it is first-time event. All you just have to do is to assemble a great team together, people that are knowledgeable and highly experienced in event management and its operations. It’s hard to give an estimate on the cost of this event or similar one if one is not directly involved because there are a lot of factors that are needed to take into considerations and the logistics involved. But since this event is more of a high-class luxurious festival and considering all that was promised, I estimate that between $10 million to$15 million might be needed for putting this event up. How can people who’ve never organized a large-scale event make sure it’s a success? Today’s event-management practices/operations are not all-comer affairs, you need experienced professionals to handle it successfully. The event markets have already recognized the importance of the trained and educated professionals. That is why there is a surge in event-management studies in many universities across the country. At the UCF Rosen College of Hospitality Management, our event-management programs stand out among the rest and the feedback is outstanding based on the quality of our teachings, internships and students’ employment rates. But another way out is for you to employ and assemble a tested team of event professionals who will manage all the different aspect of the event—staging and audiovisuals, logistics, human resources, transportation, media relations, suppliers and vendors and many others. Event management nowadays has become so sophisticated, whether it is a community festival or a large-scale event, because the risk and safety component of it is very important and the government has put a lot of regulations to ensure the safety of all attendees. The more you work with the professionals, the better the outcome of the event will be. Our job as event managers is to make sure that the positive impact of an event supersedes the negative impacts. And there’s no way, in any event, that you won’t have negative impacts. All you just have to do is come up with ideas how we can maximize these positives and how we can minimize the negatives. This is why we do surveys during and after events, to find out what we did right, wrong and what we should improve upon. We learn through experience over time with different events bringing different challenges. Are there any trends that you’ve noticed in newer festivals? Nowadays, it has become old-fashioned to purchase tickets at the gates. You can buy through the apps and other internet-based selling outlets in advance. This is good for the organizers because they don’t have the luxury of having the funds readily available for the event procurements, so the money comes in trickles. So when you are able to get the money ahead of time, it helps your cash flow. They are also making events to be cashless now, involving more technology. They’re using RFID (radio-frequency identification) wristbands [which are like the wristbands that Fyre Festival attendees were told they would use]. These devices allow eventgoers to pay for their drinks and other things, but also allow festival organizers to monitor where you are and what you’re using the band for. This provides spending data and research [which can be useful for future events]. The other thing I’ve noticed is there is a lot of government involvement now with event regulations. Festivals can be vulnerable environments with security concerns. So, some governments have created criteria such as policing and securities, traffic and crowd control that has to be met before you organize any event. Music festivals seem more popular now than ever, why is that? Music festivals happens to be the latest trend now because it gives people the experience they want in terms of watching their favorite artist playing and enjoying the thrills and frills of the environment at the same time. It also draws at lot of people creating huge impacts for the economy. The market potential is great for the music festivals now and in the foreseeable future. If you look at most tourist communities, what they are doing now is trying to extend their tourism season by creation of new festivals and revitalization of old ones on a regular basis. Most festivals are usually in the spring and summer but now there are festivals in winter and fall. The impact of festivals in every local community is enormous. It stimulates the economy. It helps people to bond. The festival helps to create harmony in the society. Ultimately people want experiences and they are willing to pay for them. Festivals give you an experience that you cannot quantify. Because when you go to a festival, it gives you a different experience from everyday life. You feel the pulse, you feel the impact of the event, the impact of people – something binds you together. You share a collective interest.